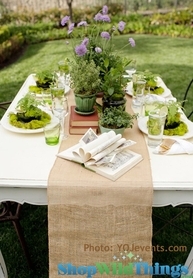 Home > Wedding & Event Decor > Centerpiece & Tabletop > Table Toppers & Chair Bows > CLEARANCE! 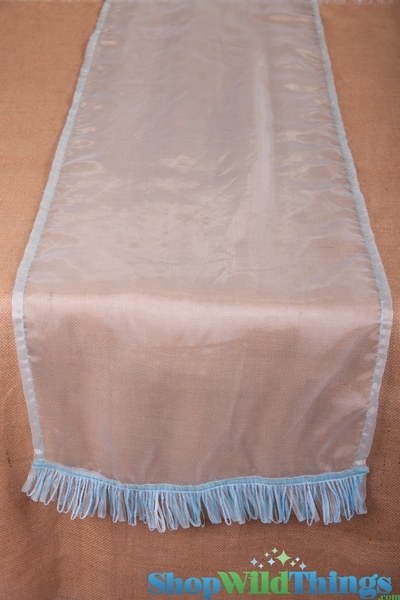 Runner Sheer w/Ribbon Border - Light Aqua Blue 16x72"
CLEARANCE! Runner Sheer w/Ribbon Border - Light Aqua Blue 16x72"
Our super-shiny Table Runners are sure to add that perfect touch of color and class to any table you set! It's finished beautifully and made by one of the premier names in table linens. The fabric is so beautifully shiny that it almost looks metallic! The border on both ends is finished with loops of matching ribbon and color-dyed matching jute loops for an extra-interesting touch! Each topper measures 16" wide x 72" long.